Duncan is a triplet. He suffers from MPD (Multiple Personality Disorder). Years ago, the SPP (Special Projects Program), gathered people long thought useless to society, ones who share Duncan’s affliction, and trained them to be deadly assassins. Through experimental psychiatric conditioning and treatment, psychotropic drugs and past life regression therapies, the SPP, led by Dr. Sebastian Ghislain, created a new weapon for the war on terror. A counter-intelligence unit made up of MPD patients was born, and they were called Triplets, referring to the three personalities inside their minds. Years later, the unit falls apart. While other Triplets have gone rogue and turned into hired killers, Duncan is called back to work for the SPP. Duncan, whose personalities are that of a Cowboy, Ninja and Viking, may be the only key to stopping the rogue triplets, and his own life in the process. 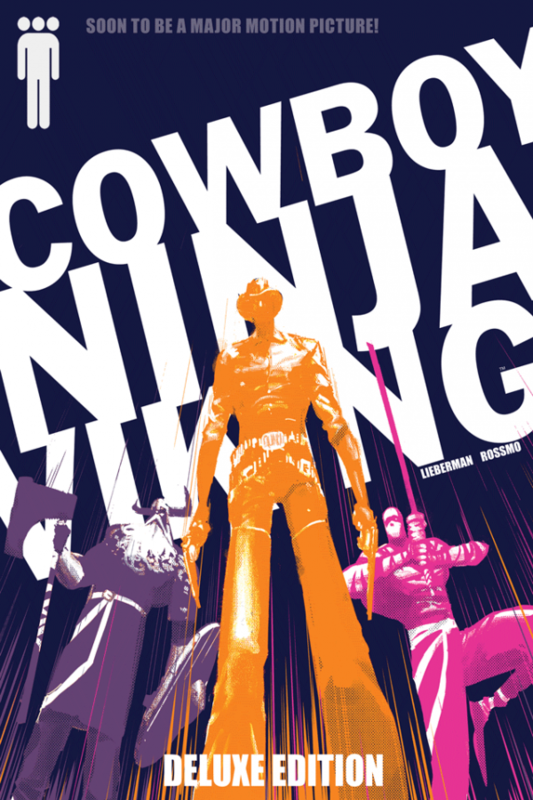 Cowboy Ninja Viking is a crazy thrill ride from beginning to end. The action and energy coming off of the page is electric, and there is never a dull moment. It’s funny, strange and exciting at the same time. The writing by A.J. Lieberman is spot on, it’s hilarious and has a raw honesty to it. Although the human characters are the heart of the story, it’s what is on the inside that really shines. When the personalities living in their heads speak, they all have their own distinct voices. Add the wonderful artwork by Riley Rossmo to the great story and writing, and you have a book that is unique and really pops. If this title isn’t on your radar, it needs to be. Its concept alone was enough for me to be curious about it, and once I started reading it, I couldn’t stop. Everything about it was captivating. It’s just about perfect, and I couldn’t recommend it more. The movie adaptation of it is due to release in 2019, starring Chris Pratt, and I am very curious how they are going to adapt this crazy story into a film. Hopefully, it’s as fun as this was to read.